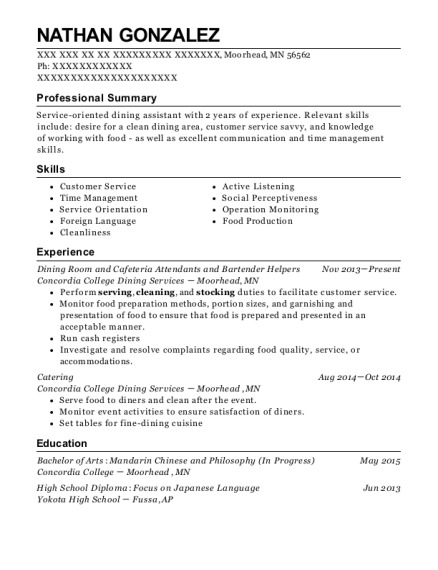 Very quick learner, work great under pressure costumer service isn't hard for me. I am organized around my self a lot of the time. Being around people and learning quickly is something I like doing it is fun to learn new things and do new things. costumer service is something you have to learn when I was waitressing at sonic making the costumer happy is the most important thing if the costumer is not it goes back on you. I am a welders helper or a forklift operator for the business. I make sure all the welders have their things for welding and run to get them more things if they need them. Operating a forklift is a lot different then a vehicle, it is very heavy and can be very dangerous if not paying attention where other workers are at, at all times. I have learned patients and I have learned to work hard and learn fast. Carhop/Drink Maker Aug 2013－Mar 2014 Sonic Drive In － Kerrville, TX Working at sonic was a very fun and fast pace job. As a carhop which is mainly a waitress I take orders from people, take their food to them, deal with money, and make sure everything is correct for then costumers. I also was a drink maker being a drink maker I was inside at all times mixing and making ice cream also on busy hours I helped carhops take orders, drink making was something I had to be quick at if the costumer did not get their drink in a certain time limit they did not pay which meant I got written up for not working as I should have. 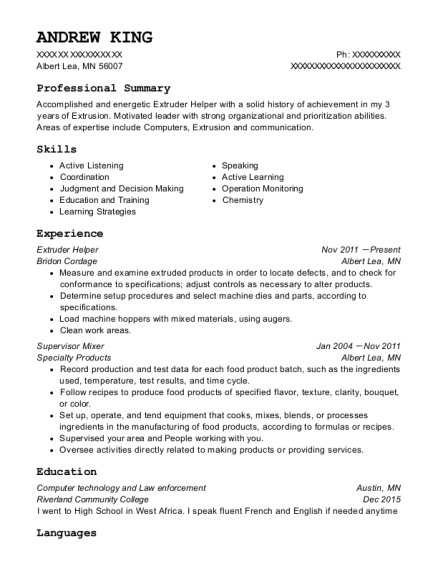 This is a resume for a Helper in Center Point, Texas with experience working for such companies as Brandon Center Point and Sonic Drive In. 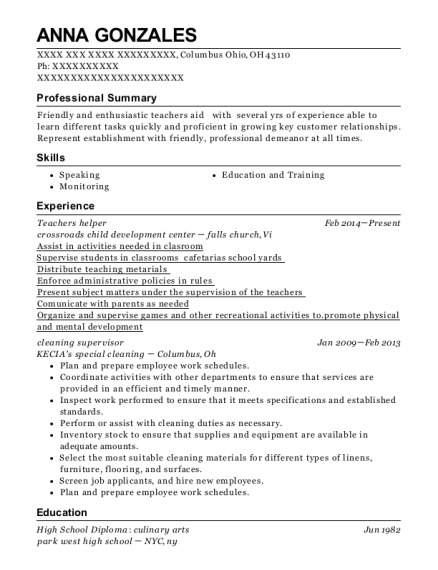 The grade for this resume is 0 and is one of hundreds of Helper resumes available on our site for free. 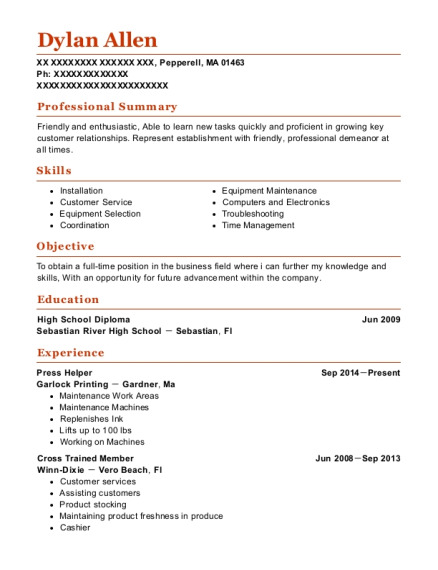 Use these resumes as templates to get help creating the best Helper resume.